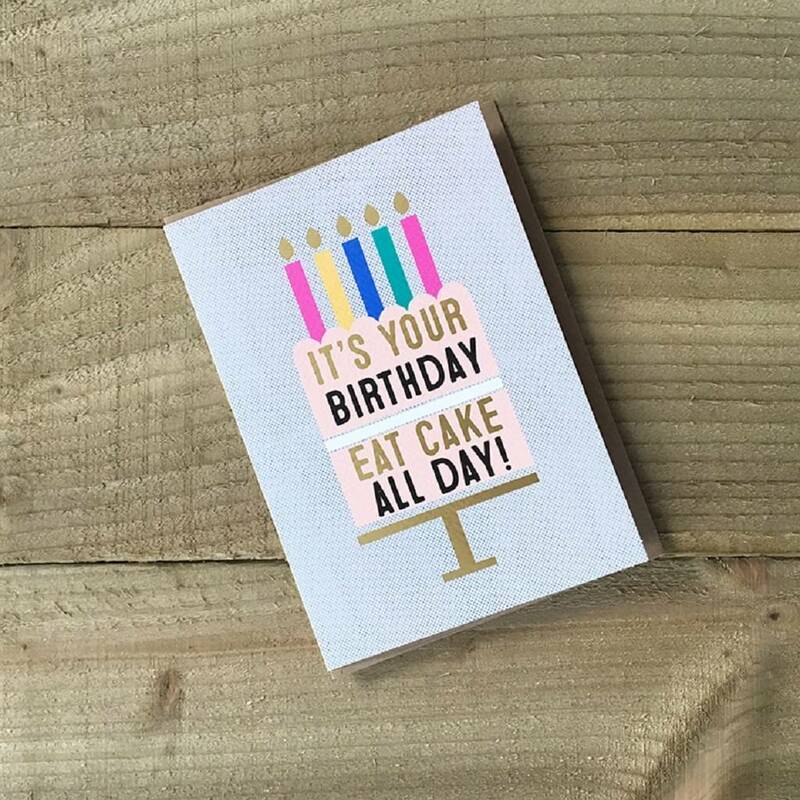 A gold foiled Happy Birthday card printed on beautiful grey, dotted heavyweight paper stock comes with matching craft brown envelope. Left Blank inside. This design comes from 'Tales Of Gold' range and other captions are available in this range. 125x175 inclusive of envelope and without 120x170. This product is dispatched to you by Velvet Olive.